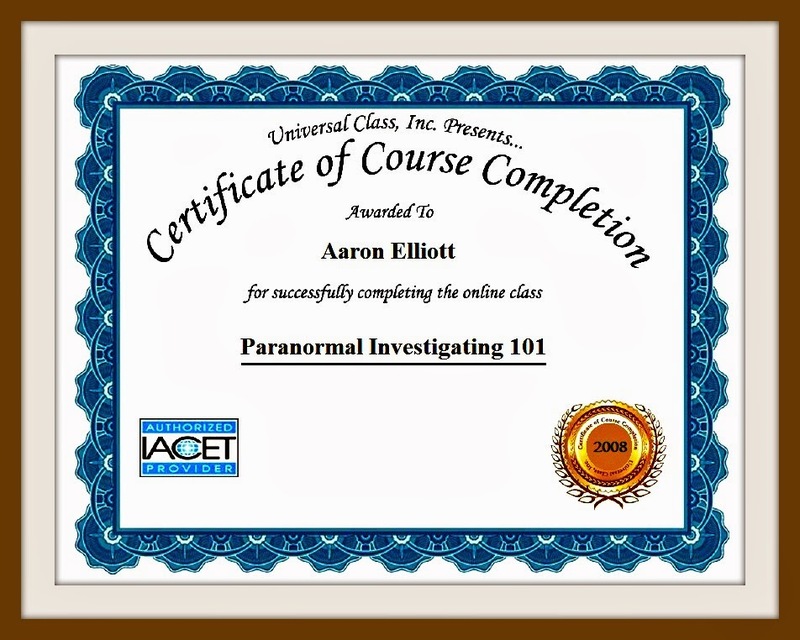 Aaron has successfully completed certified paranormal training courses through Universal Class Inc. which Adheres to the ANSI/IACET 1-2007 Standard and is accredited as an Authorized Provider by the International Association for Continuing Education and Training (IACET). Aaron and Corey Have been members of the International Paranormal Resource Alliance since 2011. 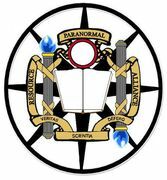 The International Paranormal Resource Alliance is one of the largest worldwide networks of professional paranormal investigators with 19 founders and directors and over 600 members internationally. Aaron and Corey are active supporters of the Parapsychological association. publication Mindfield: The Bulletin of the Parapsychological Association. 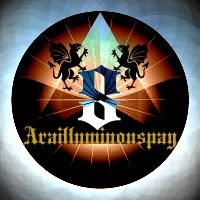 Arailluminouspay; translated to "Parailluminous" is a society of professional paranormal investigators. Parailluminous is perhaps the worlds most prestigious paranormal society. Members are not voted in and there is no process to become a member. Rather members are specifically chosen by a secret counsel from the Parailluminous hierarchy. Members adhere to conduct and codes and are provided with sacred and secret knowledge. Although the society is not secret, what the members know, and are taught is. Parailluminous members are trained to be guardians and protectors in the field of the paranormal.